If you macro, and have a hundred bucks, you want the Apex. Nuff Said. 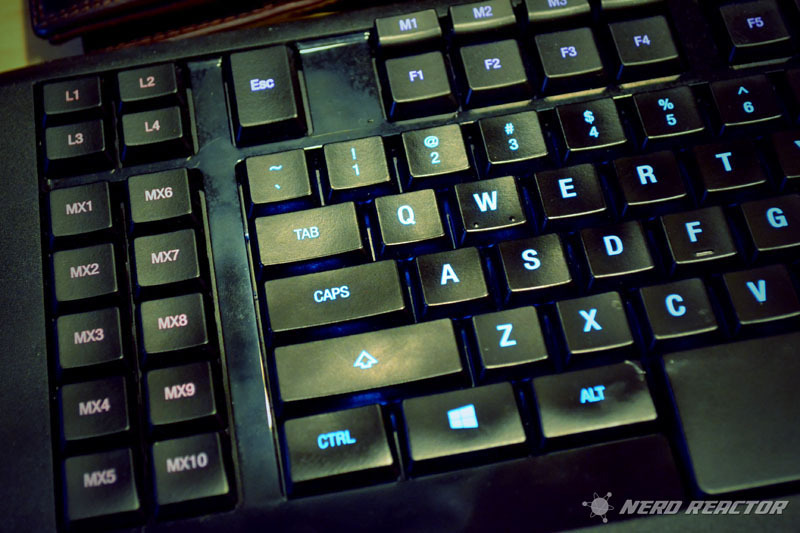 Finding a cheap, comfortable membrane keyboard is pretty difficult these days. Having to scour through a plethora of impersonators and companies using the same generic model across the board leaves you with a headache along with a bad taste in your mouth. 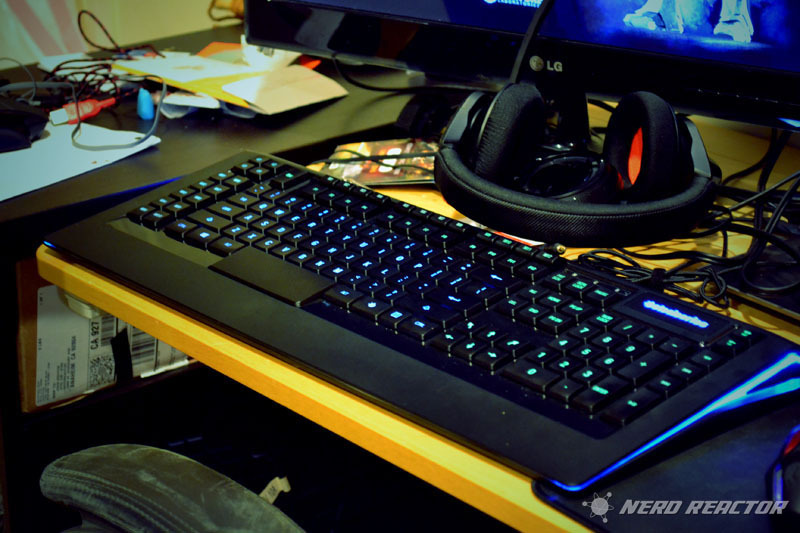 Thankfully there are a select few PC gaming peripherals manufacturers we’ve grown to trust and love. The Apex solidifies not only my love, but my trust in Steelseries for having great products as always. Right off the bat, we notice the size of the Apex. This thing is pretty big, measuring a bit larger than your average mechanical or membrane peripheral, with a strong black matte finish on the device alongside slick keys. Build quality is phenomenal and super solid (no rattles or loose panels anywhere) as with all Steelseries products I’ve tested in the past. Everything on this keyboard is optimized for comfort. From the positioning of the macro keys to the extended spacebar, along with minor details such as two small bumps on the W-key, provides a faster return to WASD. When you quickly have to type a message or execute a command, we want to make sure that you find your way back to WASD as quickly as possible without having to look. 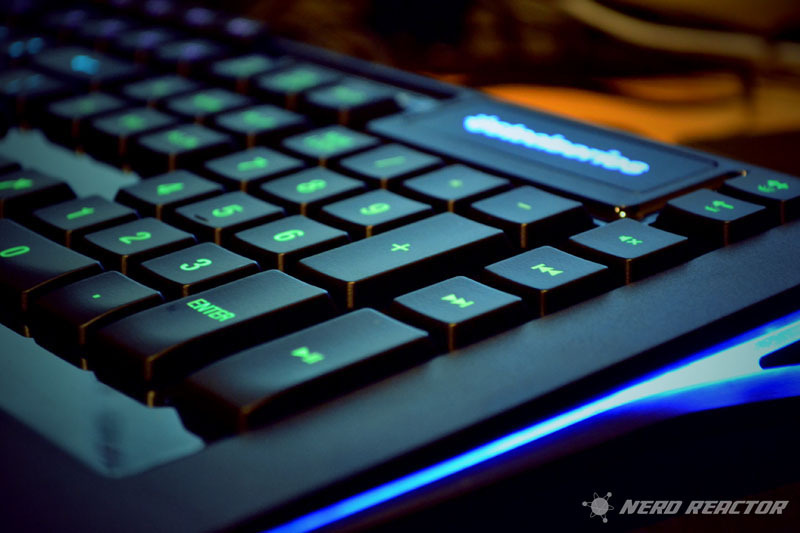 The Steelseries engine allows the user to go beyond simple lighting and allows choosing from 16.8 Million colors. 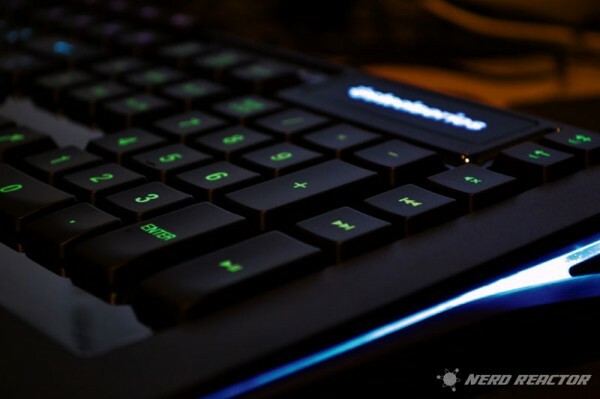 The Apex features SteelSeries ActiveZone lighting, a visual support tool allowing the user to independently customize each of its 5 zones and in multiple macro layers. The macro keys above the F-keys feature a raised design that allow you to locate them without looking and execute devastatingly fast key combinations. 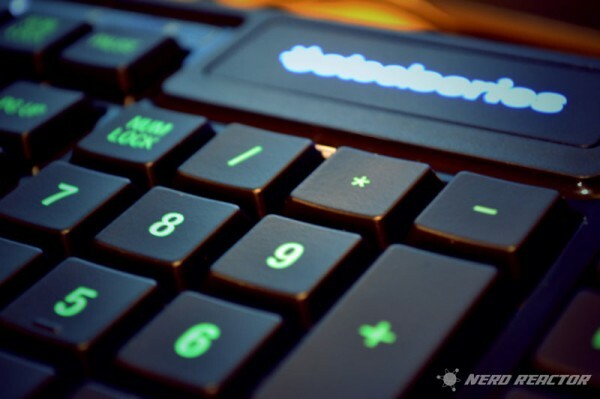 Simply swipe your finger down from the macro key onto the F-key for quick key combinations. While I haven’t been using these all too much, they do allow users to further customize and perfect this macro-machine. 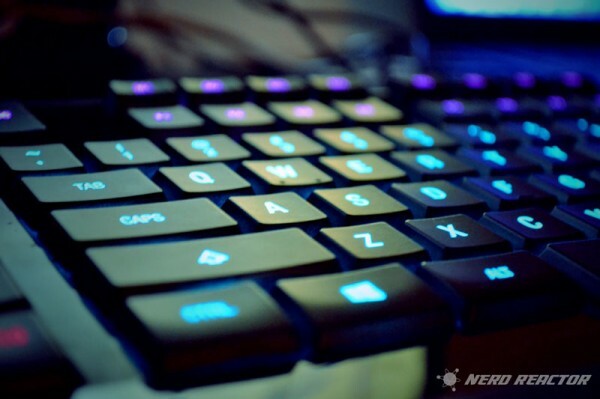 The Apex has four layers of customization, meaning that your 22 macro buttons and five color zones turn into 88 macro keys and 20 color variations. I’ve grown accustomed to using this option quite often when playing League of Legends, due to my constant switching between layers for an easy toggle between smart-cast and regular. As for Starcraft, I’ve macro’d all three civilizations into different layers, allowing for quick switches between games. The Apex has become my new primary keyboard. I can’t really give it more praise than that. For somebody that goes through 3-4 Keyboards a month, this is quite a change. Once you grown accustomed to the Apex’s amazing versatility across all genre of gaming, it is just not possible to switch back. The only con being with the Apex is that it doesn’t fit into any regular backpack or messenger bag. Additional Awards: Nomination for Keyboard of the year.